Presented by: Guilt & Co. 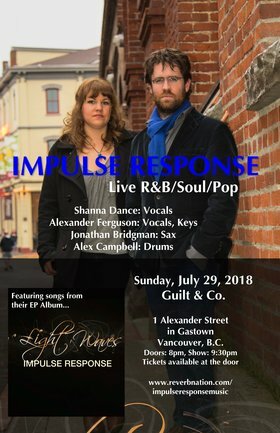 Impulse Response is a soul, groove, and R&B quartet from Victoria, BC. 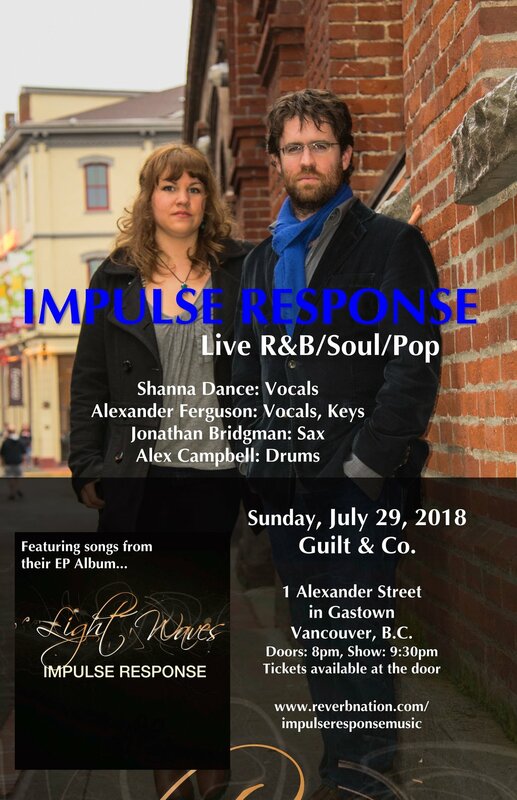 Shanna and Alexander front the band as lead vocalists and will be joined by Alex Campbell on drums and saxophonist, Jonnie Bridgman, for their 4th annual tour of the Okanagan and Mainland this summer. With tight and punchy grooves, their sound is infused with sweet and soulful harmonies.